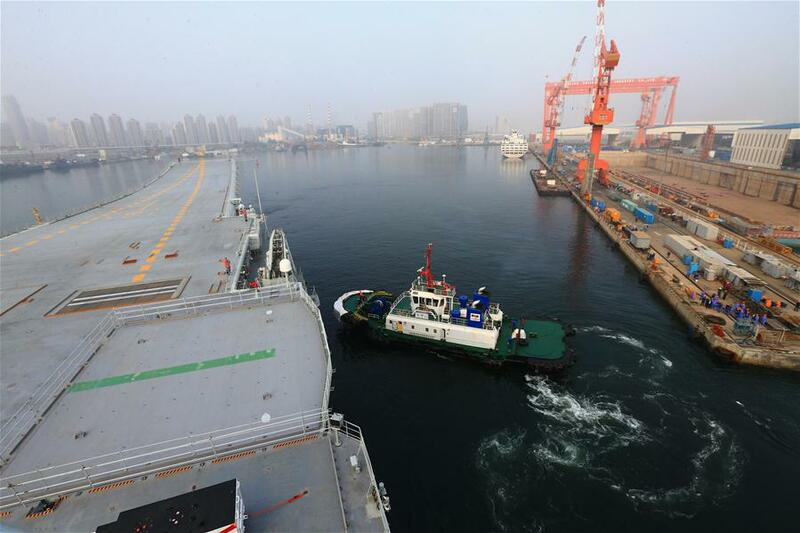 DALIAN, May 13 (Xinhua) -- China's first domestically-built aircraft carrier set out from a dock of Dalian Shipyard, northeast China's Liaoning Province, for sea trials Sunday morning. It is the country's second aircraft carrier. The sea trials will mainly test the reliability and stability of the carrier's power system and other equipment, sources said. Construction on the carrier has been carried out as planned since it was launched in April last year, and equipment debugging, outfitting and mooring tests have been completed to make it ready for the trial mission at sea, the sources said.